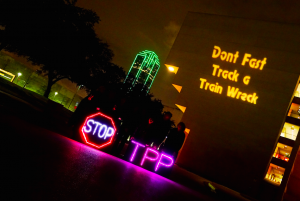 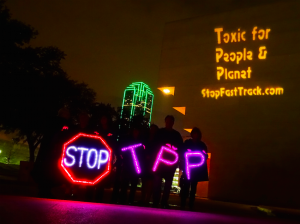 The North Texas Light Brigade displayed messages at Dallas City Hall, urging the public to STOP TPP FAST TRACK! 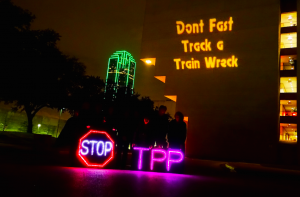 Right now, congress is pushing legislation that would “Fast Track” the Trans-Pacific Partnership — a secretive agreement negotiated behind closed doors by government bureaucrats and more than 600 corporate lobbyists. It threatens jobs, the environment, the internet, our sovereignty, and democracy itself! Call Congress (866-220-0044) and tell them: Say NO to the TPP Fast Track! 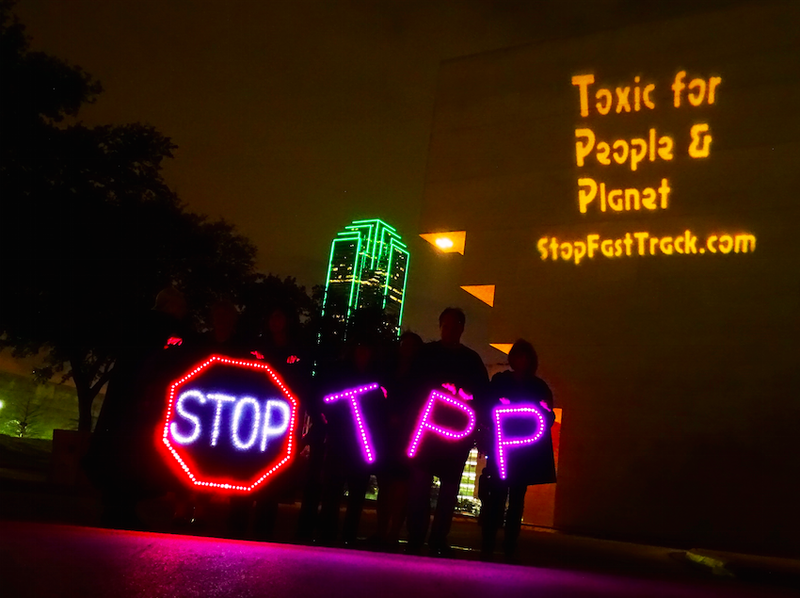 More info at https://www.stopfasttrack.com/ and www.exposethetpp.org. 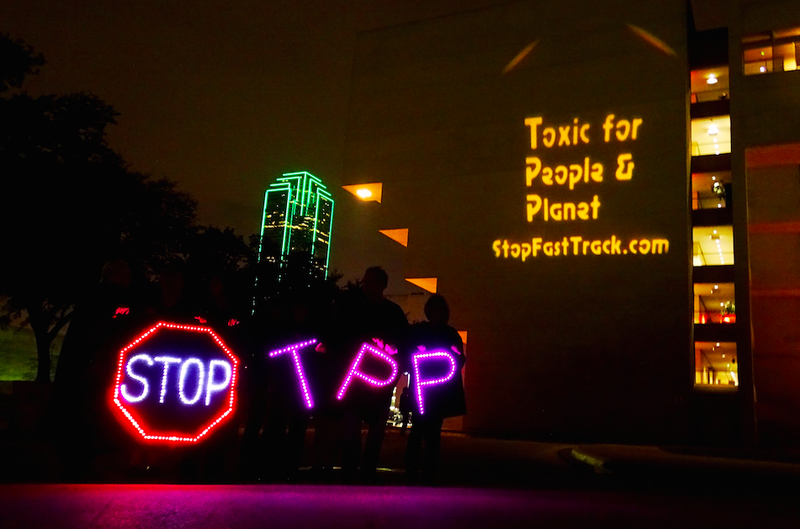 Thanks to North Texas members of CodePink, Veterans For Peace, MoveOn, Texas Honeybee Guild, and March Against Monsanto Dallas for their support.